Welcome to WriteArchitecture.com. This is a personal website dedicated to my thoughts about architecture, specifically about making Modern places. Because it is a personal site it will be naturally idiosyncratic, an exploration of my architecture and design icons, interests, obsessions, and thoughts. All writing is (c)David Locicero 2012, unless otherwise noted. Illustrations come from around the internet and my own own camera. The copyright for borrowed images will be provided if known. If you own the copyright on an image let me know and I can provide attribution or take the image down, the choice is yours. All content on this site is copyright David Locicero unless otherwise noted. 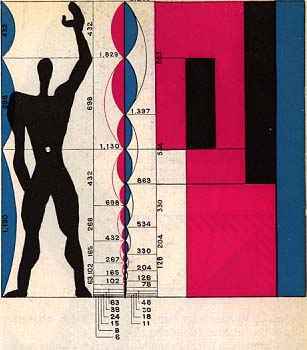 The title image is of LeCorbusier's Modular Man, which is believed to be in the public domain.